Big FM lights it up this Independence Day with the Big Salute, an initiative that will focus on the people who silently contribute towards the city and society. 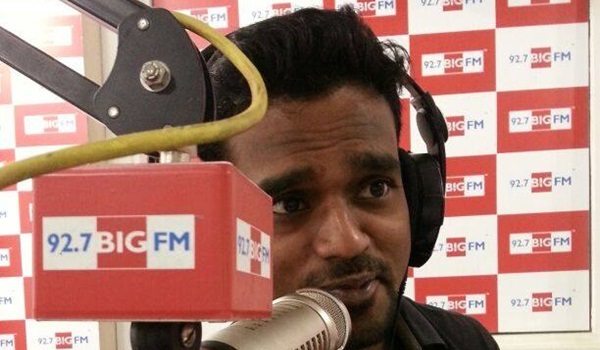 I caught up with RJ Giri (the host of the Breakfast Show) to find out more. Tell us about Big Salute? The initiative is about acknowledging those individuals who, in some way, have made a difference to our society. We are honouring these unsung heroes and heroines by having a week-long celebration on air. Earlier, we had an on-air campaign where we asked our listeners to nominate individuals who they thought were selfless in their deeds and were worthy of the a�?big salutea��. We have a great list. From Abdul Ghani, a social activist involved in organising more than 1,200 Save Planet Earth events in India, to Sherin, the co-founder of Nakshatra NGO, who works with women and children from the citya��s slums in an effort to empower them. Therea��s also Rekha from Organic Farming and K Seetharaman, the founder of Readers Club. Seetharaman left his job so he could focus on his pet projecta��making more people read books. Today the club has more than 15,000 books and scores of subscribers. The list goes on and we are happy to be associated with such noble minds from this city. It has been phenomenal. Chennai took part in nominating their heroes and wea��ve had our WhatsApp running full most of the time. A lot of our guests preferred to be on the sidelines rather than in the spotlight, as they felt their work did the talking. Whata��s next on the Breakfast Show? I can tell you this: there are a lot of surprises coming the listenersa�� way, not only on my show, but on the entire station as well. Your wait will be worth the time. Thata��s RJ Giri sounding the big bugle. See you next week with more radio talk.